Every year, we include a report of your payroll schedule in with the last payroll of November. 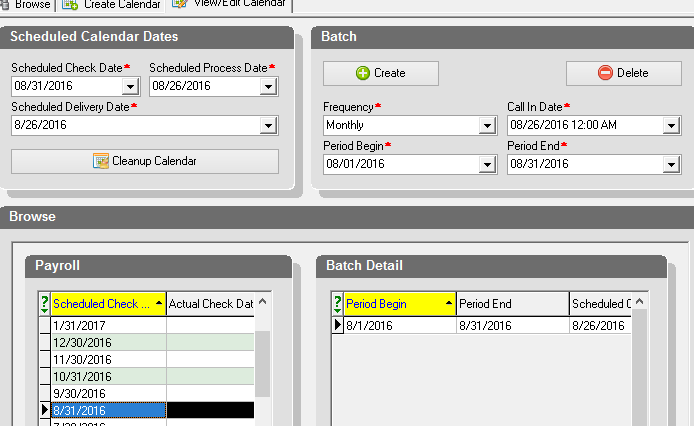 We also send the schedule again with the first payroll of the year. 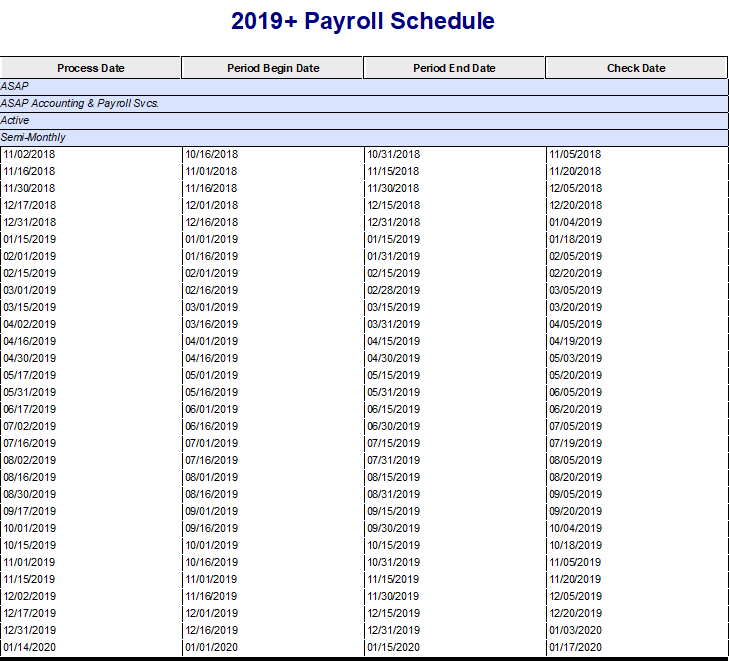 If you cannot locate your payroll schedule, just ask us and we will send you a copy. Please review the process dates, pay period dates & check dates to confirm the schedule matches your pay policy concerning holidays/weekends. Please pay particular close attention to impacts of weekends & holidays. Reminder: employee direct deposits should be processed at least two business days in advance of the check date. Semi-monthly/Monthly schedules: New Year's Day, MLK Day, President's Day, Independence Day & Labor Day all could create unexpected adjustments to your process dates and/or check dates. Bi-Weekly/Weekly: you likely are well aware of the sizable amount of Monday holidays each year. To mitigate the impacts, we advise employers schedule their weekly or bi-weekly pay days for later in the week such as Thursday or Friday following the end of a pay period. In 2019, almost all of the holidays could have an impact on schedules.